For as long as there have been cars, people have been retro fitting their own choice of seat to them. 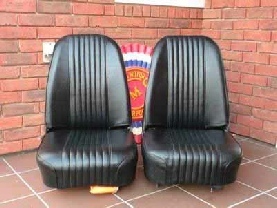 This is an archive of some of the seats supplied & fitted to Minis over the years. I am including reference examples of as many factory seat styles & options as well, for the sake of completeness. If you have an example not listed here I would be very grateful for an image or two & a short description.